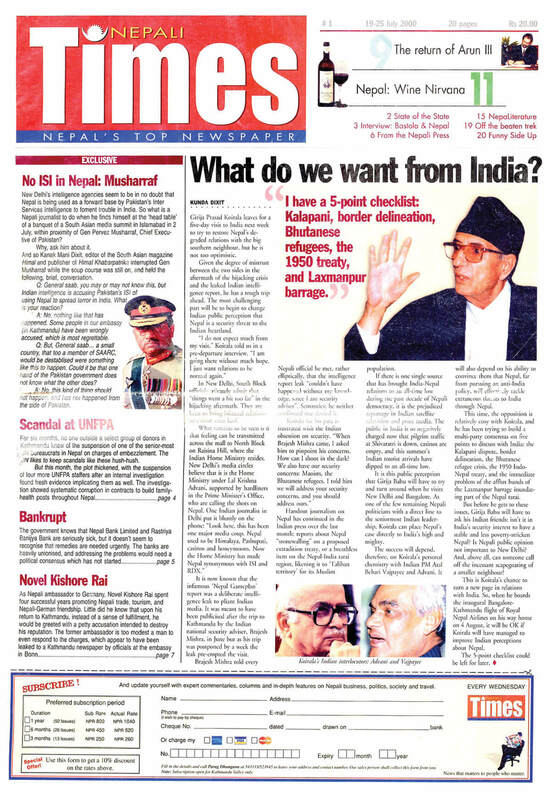 The very first issue of Nepali Times covered Prime Minister Girija Koirala’s visit to India. 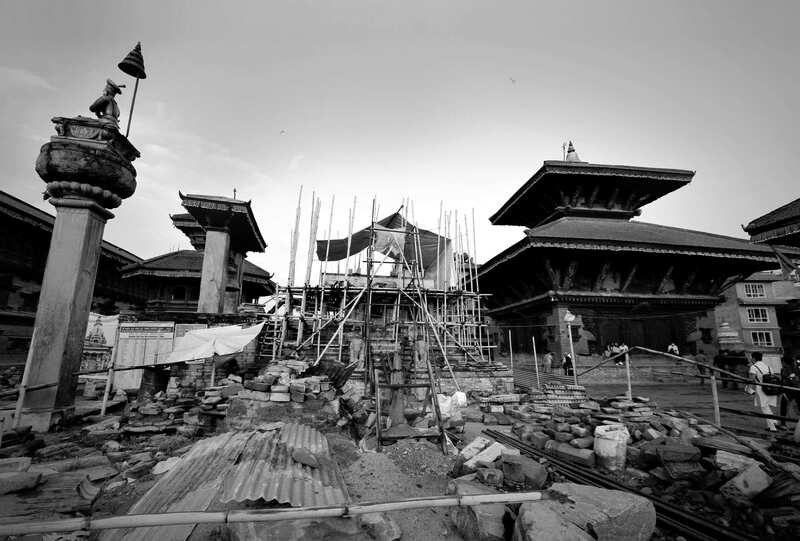 Indo-Nepal relations haven’t changed much since, Nepalis still cannot decide what they want from India. And Delhi is still paranoid about Pakistan and China. 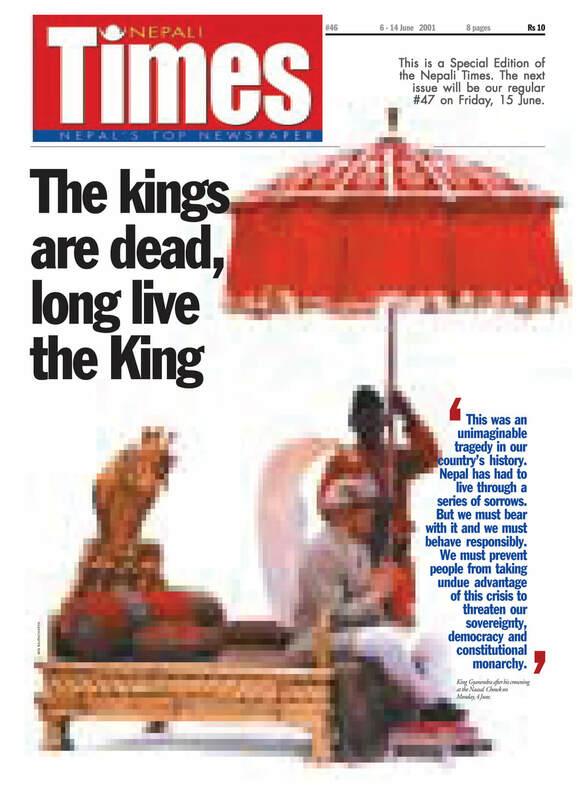 The royal massacre of 1 June 2001 saw three kings in four days. 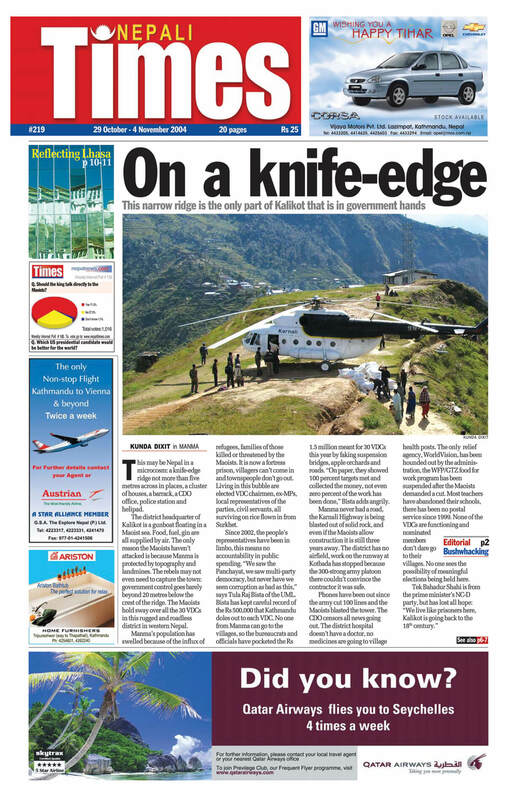 Nepali Times covered it as a crime scene investigation, concluding that Crown Prince Dipendra killed nine members of his family before turning the gun on himself. 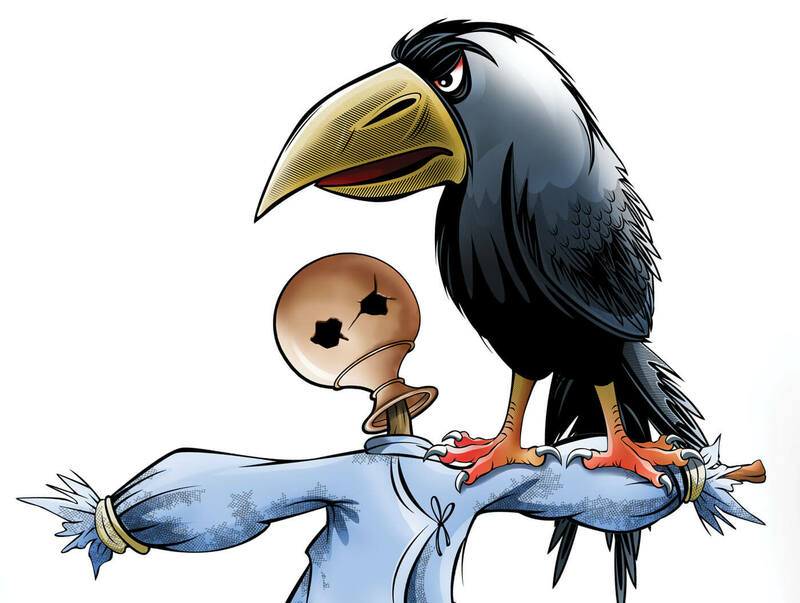 As the Maoist conflict raged, Nepali Times reporters often ventured into the war zones to report on how the war was affecting ordinary Nepalis caught up in the violence. The coverage went beyond the body counts. 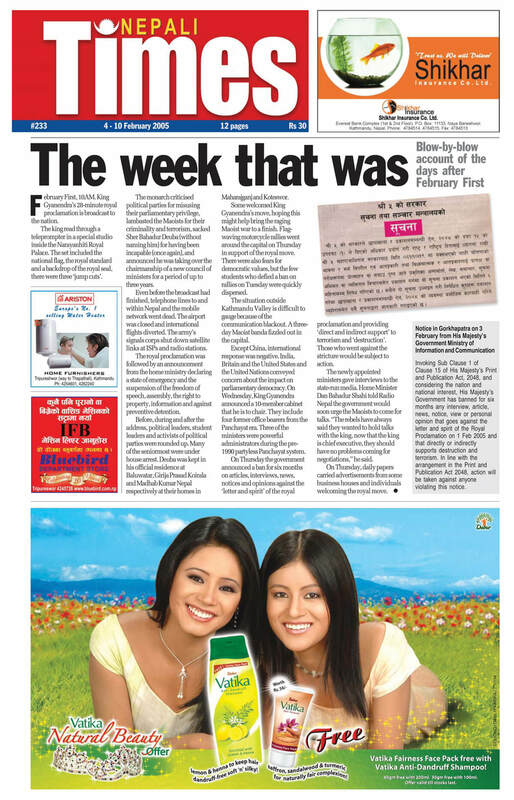 King Gyanendra’s military coup on 1 February 2005 led to direct censorship of the media. 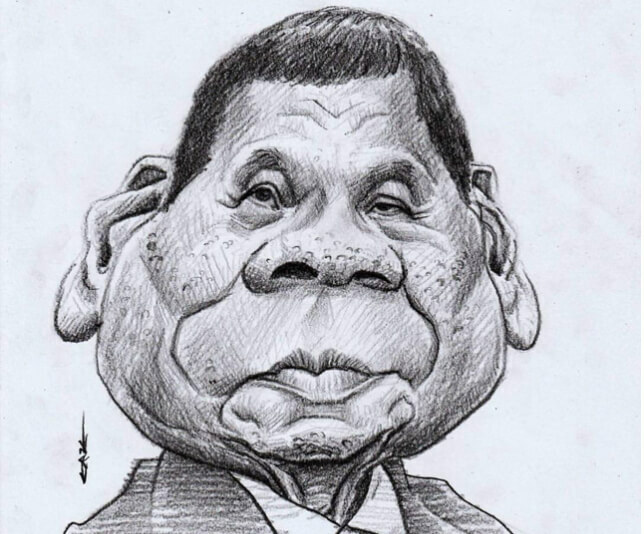 Nepali Times and its sister publication, Himal Khabarpatrika, came out with white holes in print where the Army had ordered cartoons and articles taken out. 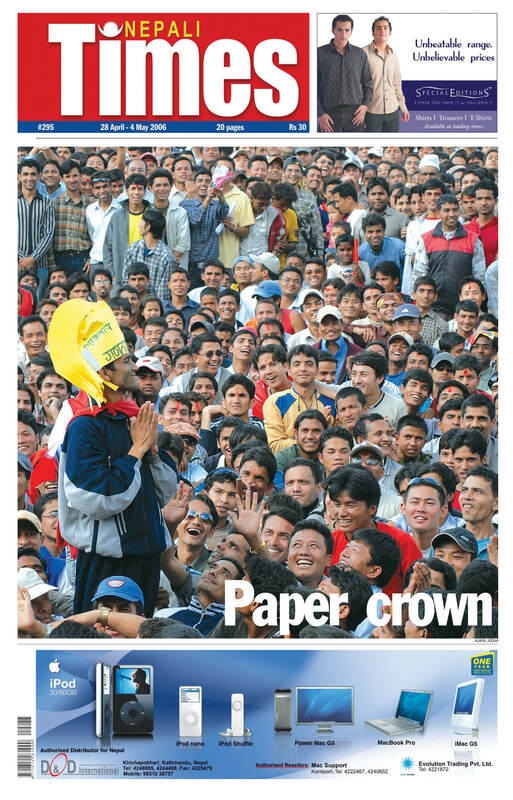 The image of a student protester in April 2006 lampooning the king with a paper crown signified the beginning of the end of the monarchy, as the people increasingly saw Gyanendra as the obstacle to peace and democracy. 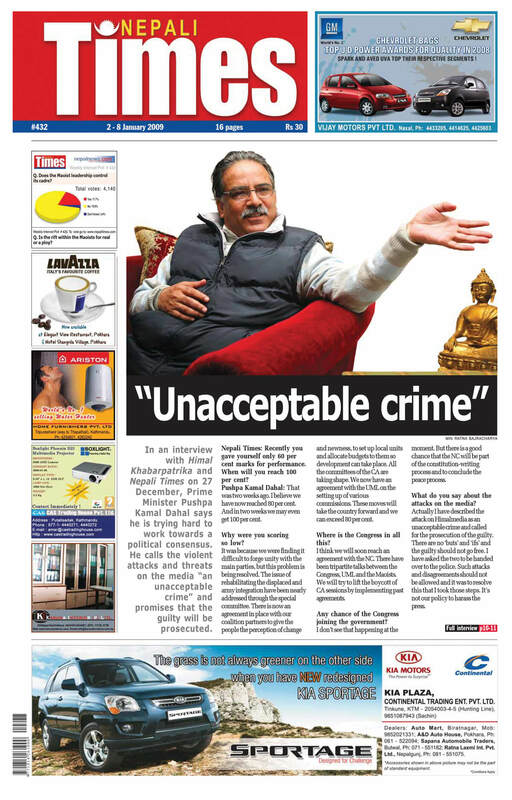 Nepali Times interviewed newly-elected Prime Minister Pushpa Kamal Dahal after he sent goons to attack and vandalise the publication’s office in December 2008 after it exposed Maoist unions involved in an extortion racket.